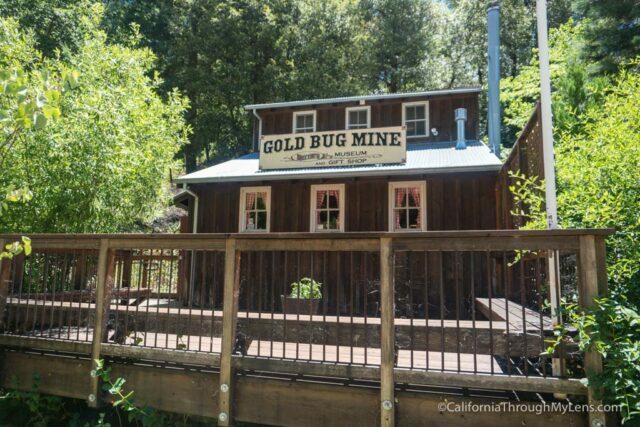 On the way to South Lake Tahoe, in the town of Placerville, sits the Gold Bug Mine. 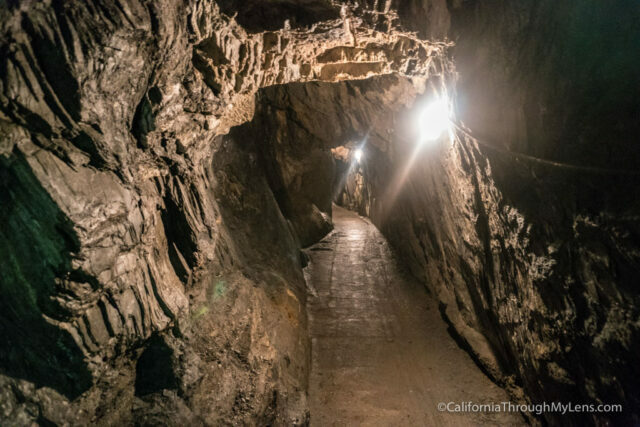 This mine is a fantastic stop for the whole family as it has a self-guided, real gold mine tour you can go on, a historic stamp mill and a blacksmiths shop. If you 30 minutes to spare, I am sure you will enjoy your time, here is all the information. From Sacremento, you will take Highway 50 east towards Lake Tahoe. When you reach the town of Placerville, you will get to a light and will turn left at Bedford Ave. Continue on this road for one mile, and then you will turn right on Gold Bug Lane. There is parking near the mine and stamp mill. 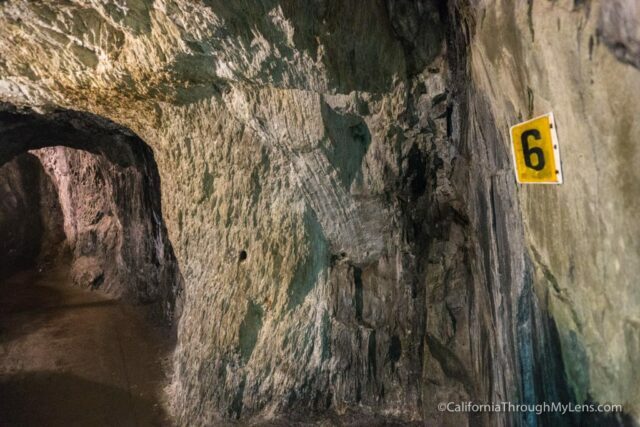 I recommend heading to the mine first. You get there by going into the building off to the left of the parking area. Proceeding to the second floor where you will see a bunch of mining materials, and there will be a worker who will take your payment for the mine. 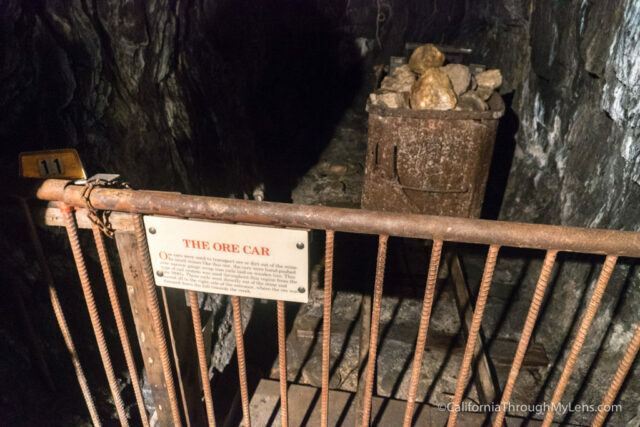 After paying, they instruct you to download an app on your phone that you can use to listen to an audio tour while in the mine. This app is such a great idea, and I wonder why more places don’t do it. They also give you a hard hat which I appreciated as I am tall and bumped my head a few times. 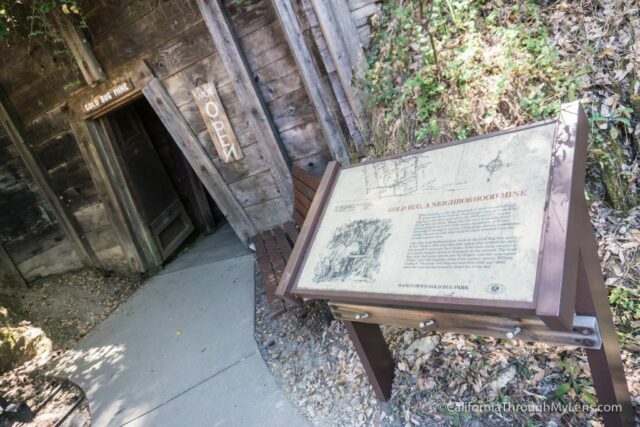 The mine tour takes about 30 minutes, and you just walk through the mine and stop at the different numbers then play the app to learn about each one. 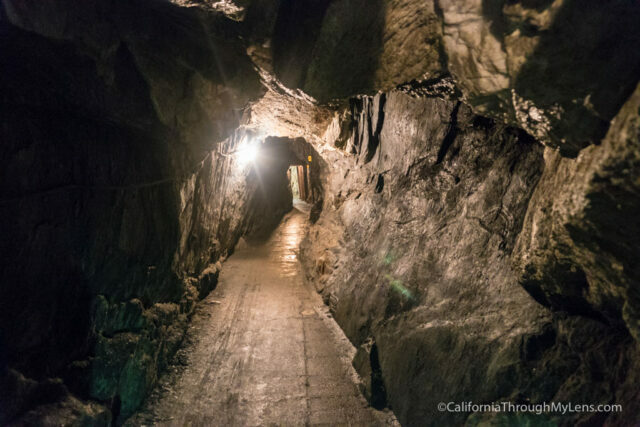 As far as I know, this is one of the only self-guided mine tours in California, at least I haven’t done any others. It was great to be able to spend more time at each area if we wanted to and to just go at our own pace. There is a lot of interesting information to hear on the tour and I enjoyed listening to the entire audio guide. 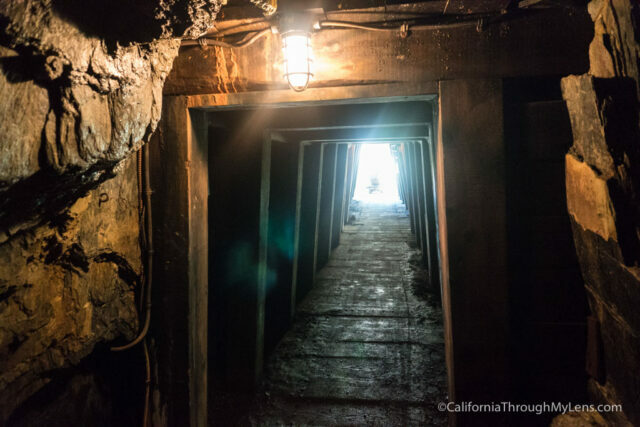 When you reach the end of the mine, you will turn around and then there are a few additional numbers on the way back out to complete the tour. 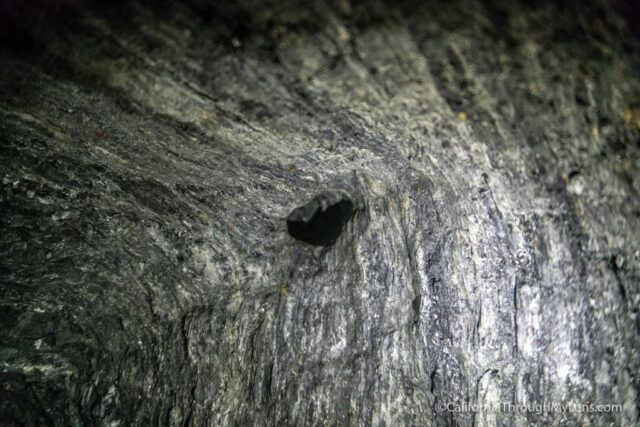 When we went on a weekday, and there were only a few other people at the mine which made exploring it even more awesome. 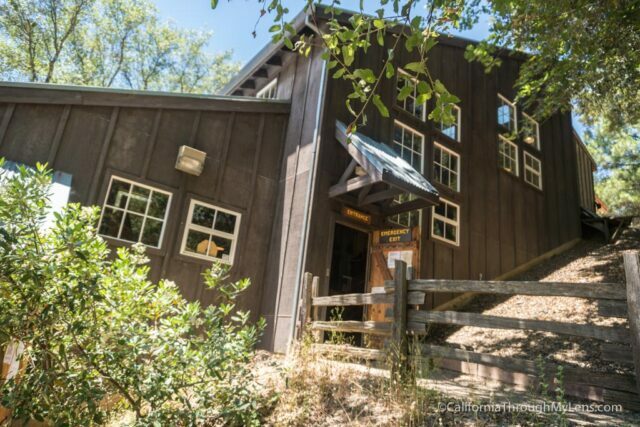 After leaving the mine, you will want to either drive or walk the quarter mile up to the stamp mill. This historic structure has been here for over a century, and it is still in good shape to this day. 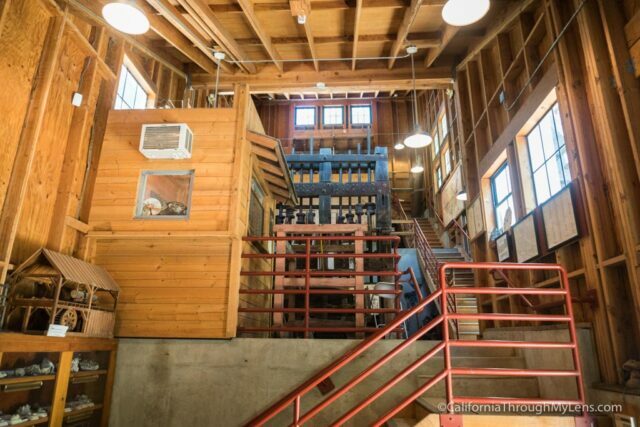 It isn’t a working stamp mill anymore, but they show you how a working mill functions at the bottom. 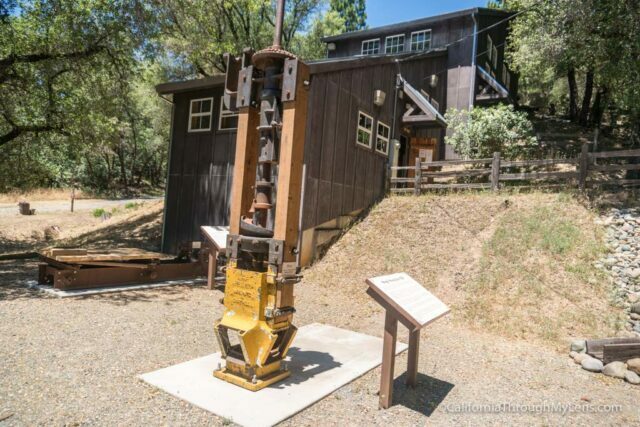 I had seen a few other stamp mills before around California, but it was still interesting to hear more about this one. 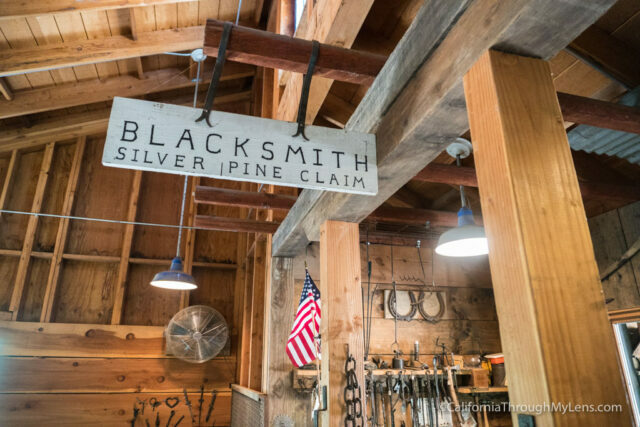 At the top of the stamp mill is a working blacksmith shop, and the blacksmith was there when we visited making stuff for people. He made my wife a ring out of a bent nail which was a fun little addition to the park. After exploring a bit more, we left the park and heading on to South Lake Tahoe. 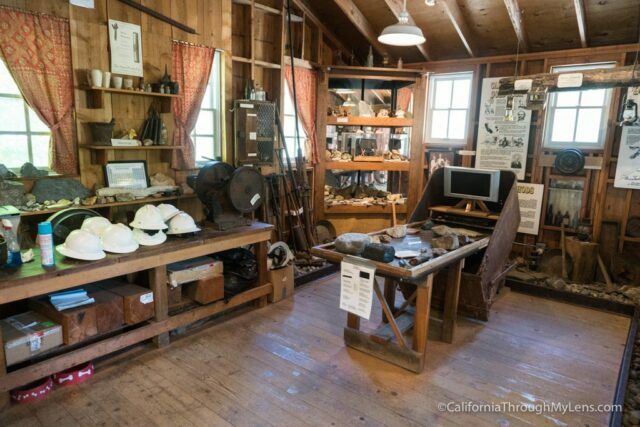 If you are looking to add more time to your visit to Placerville, then you can see a few more of my favorite spots in this post.